Given that it's Halloween and it's been awhile since I've offered up some Stone Rodentia (that'd be a great name for a band, right?!) 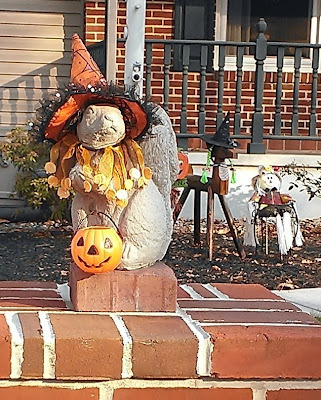 I bring you our favorite costumed squirrels. Check it out. The wooden deer has officially joined the growing herd of fashionable statuary. 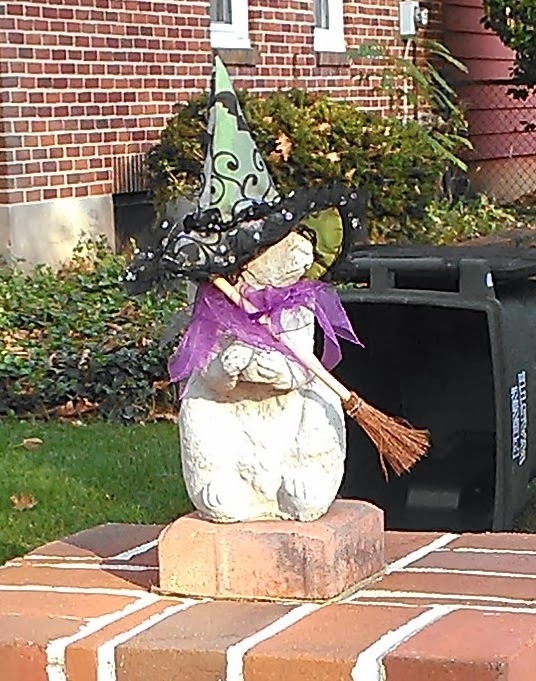 In addition to a witches hat, she's also wearing a wig. So. Getting ready for a big night. 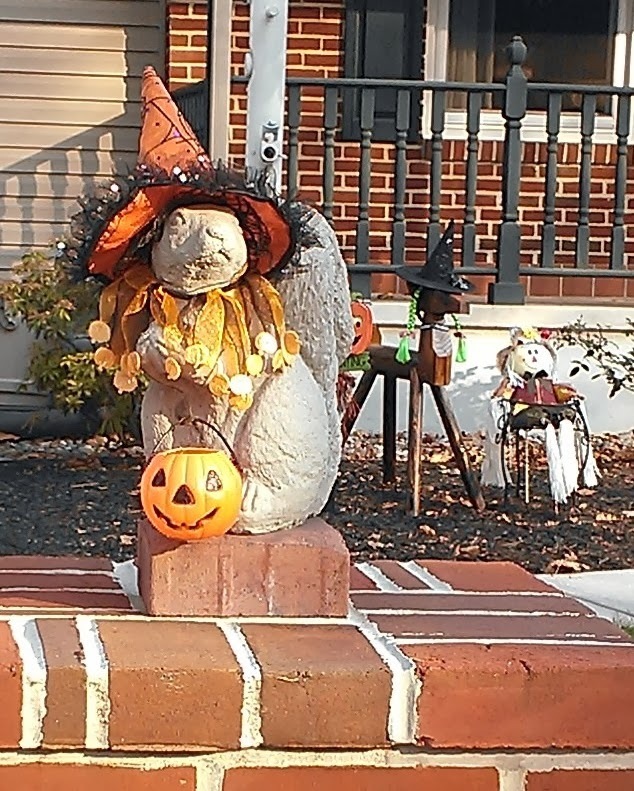 Last year the squirrels were witches, too. But this year they got fancy new hats and adorable wee pumpkin buckets. I hope they get something yummy! In other news, I've decided to participate in NaNoWriMo this year (National Novel Writing Month). I probably don't need to explain how the month works -- other then to say that my rather poorly thought-up plan is just to stay up late a lot in hopes of writing 50,000 words by Dec. 1. Future self is laughing hysterically at me already. I think you're supposed to go into the excursion with more hope than I have. But whatever. Nothing ventured ... yadda yadda yadda. Anyway, no, I'm not going to attempt to finish the novel I started the last time I participated in NaNoWriMo. Cuz, you know, why would I want to finish a gigantic project. Ever. Instead, I'm going to take a stab about jump-starting a project I'd promised I do for a friend a couple of years ago. I'm really excited about it. Well. Maybe don't stay tuned. What with the novel I have to write this month, I might not have a whole lot of time for blogging.